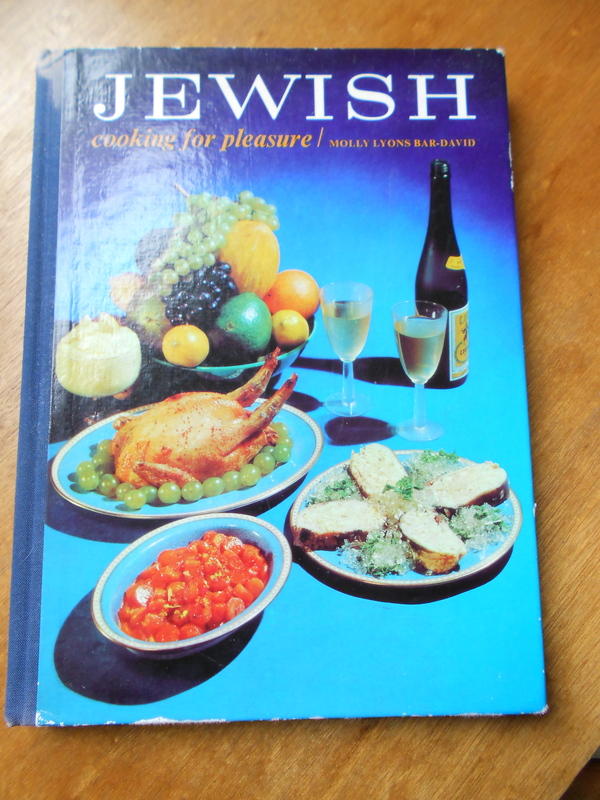 Well after I’ve been saying that my research would be food related I seem to have acquired two cookery books on Jewish food. One, I have to give back but the other has been gifted to me by a member of the Synagogue’s congregation who I spent a lovely hour with last week. Unfortunately I was hoping that I would be able to present my new skills in Jewish baking within the body of the performance, but I’ve been told categorically that I will not be able to bring homemade food into an orthodox vestry, even if I used kosher ingredients. I was hoping I could share a piece of Honey cake with the audience but I shall now have to re think. 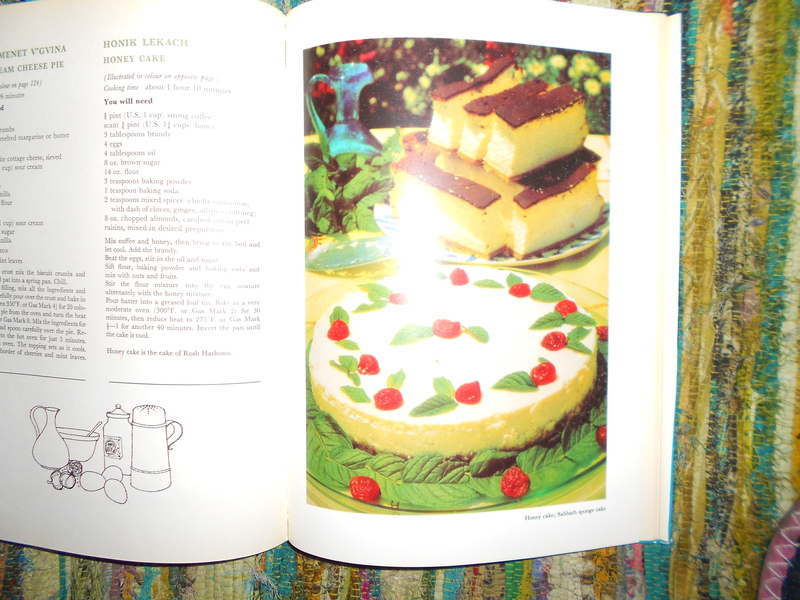 I just love this book and its technicolour cover, it fits in so perfectly with the decade I was thinking about when I first fell upon some of my research, and see, there’s my Honey cake recipe. The most fascinating aspect of this research is the ethical part and how I have to work around the strict rules about what I can and can’t do. Will that eventually be to my advantage – or not? I have so far collected quite a bit of archival material and met a handful of ladies who I’ve enjoyed talking to, now comes the part where I must go through everything I’ve collected and select and reject. This entry was posted in Plymouth's Synagogue, Uncategorized on March 15, 2013 by Ruth.